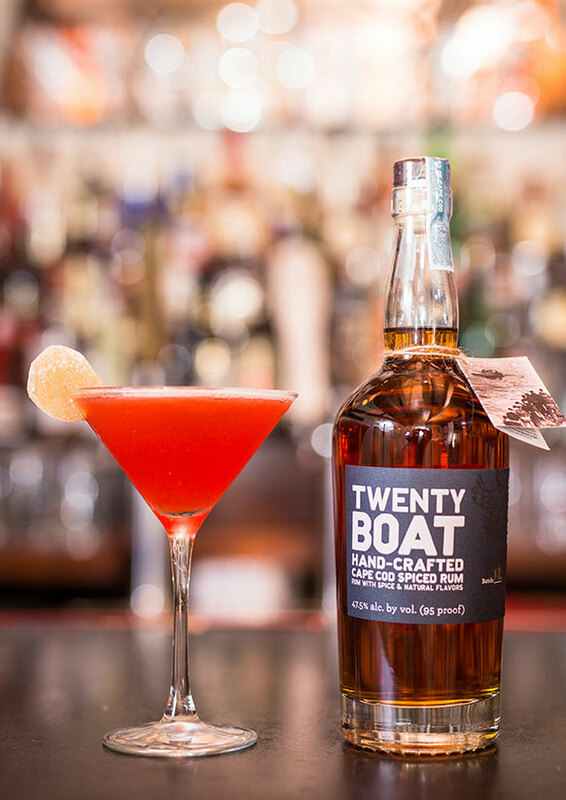 Combine Twenty Boat Spiced Rum, ginger liqueur, cranberry juice, passion fruit puree and chili pepper flakes in a shaker with ice. Shake well. Serve up in a chilled martini glass. Garnish with candied ginger.